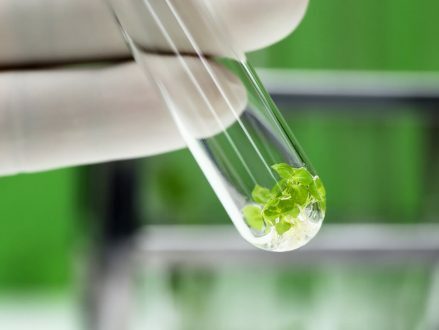 Plant tissue culture labs are formed around the concept of providing the ideal growth circumstances for plants. Glass jars are suitable to grow cells into plant tissue and are used with a tailored medium composition for fast and strong growth. One of the most important things is to provide the right medium in which a plant can grow. Years of research and development have often gone into determining what the right medium composition for a plant is. This medium is composed of all the required minerals, salts, vitamins, antibiotics etc. 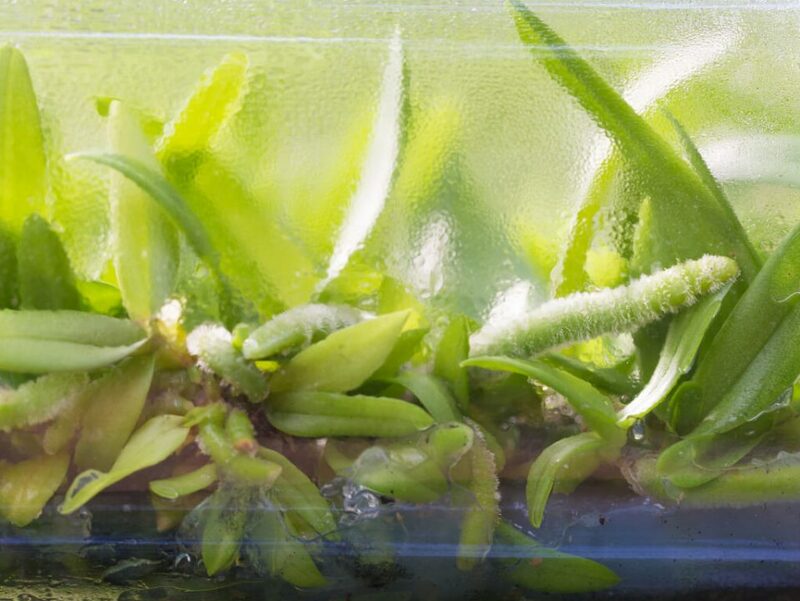 to help a plantlet grow as fast, strong and healthy as possible. When a more firm medium is required for plants to grow their roots in, labs use gelling agents like agar and gellan gum.